Callaloo is a type of soup made in Trinidad and Tobago, although many Trinidadians consider it a side dish. It's a must-have on the table for the traditional Sunday meal. Each country in the region has its own version of callaloo. 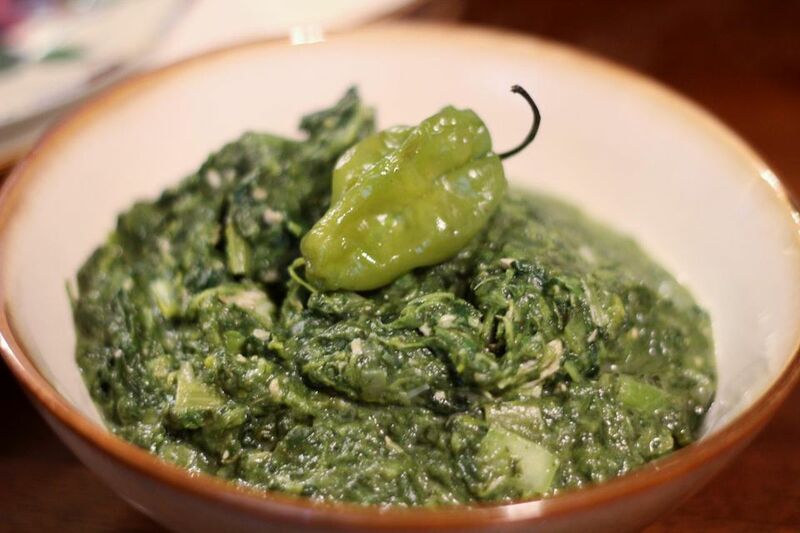 Trini Callaloo is a concoction of dasheen—eddo and taro leaves—okra, crab, salt meat, onions, pimento peppers, scotch bonnet peppers, green onions and thyme, all cooked in fresh coconut milk. Add all ingredients except the scotch bonnet pepper and the salt to a large pot. Stir to mix. Cover and bring to a light boil over medium heat, allowing the callaloo cook for 15 minutes. Add the whole scotch bonnet pepper. Cover the pot again and allow to cook for an additional 15 minutes or until the ingredients are cooked through and vegetables are very soft. Remove the hot pepper, crab, and salt meat from the pot. Use a swizzle stick or an immersion blender to puree the mixture. Add salt to taste, if necessary. Pour the soup into bowls and garnish with the hot pepper and crab. Puree the soup in a food processor if you don't have an immersion blender or swizzle stick. Serve the soup by itself or pair the Callaloo with rice or dumplings. Leftovers can be safely refrigerated for up to two days. Make the dish milder by decreasing the amount of scotch bonnet, one of the hottest peppers available. If you're not a fan of eye-popping heat in your dishes at all, substitute a jalapeno. Yellow ones are the mildest jalapenos, but they're still on the hot side. For a Jamaican variation, season the callaloo with tomatoes, onion, scallions, and margarine. Serve it with saltfish, roasted breadfruit, boiled green bananas, and dumplings.